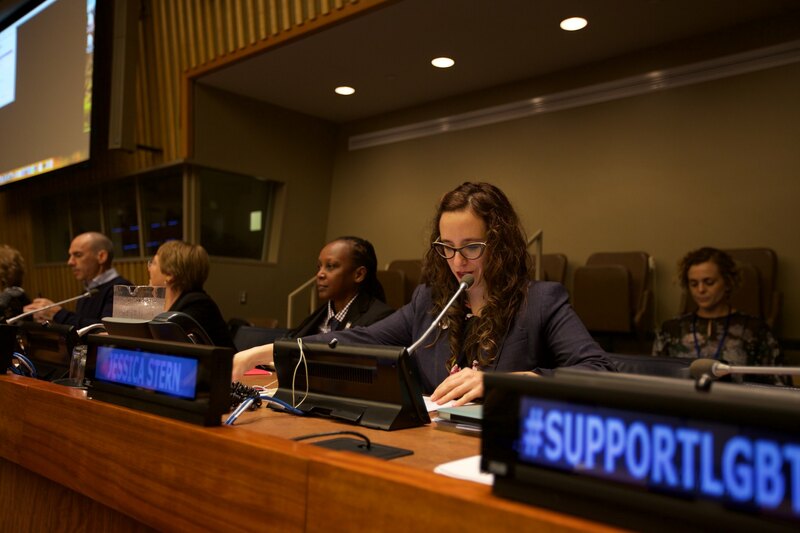 Executive Director of OutRight Action International, Jessica Stern, opened the event, introducing OutRight Action International, thanking the UN LGBTI Core Group, and welcoming the high-level government speakers. She noted the historic nature of the day’s event, “Over 30 countries are represented here, over 500 people RSVP’d, countless are watching online, and most significantly we will hear remarks on LGBTI rights from the UN Secretary-General and the newly appointed High Commissioner for Human Rights”. 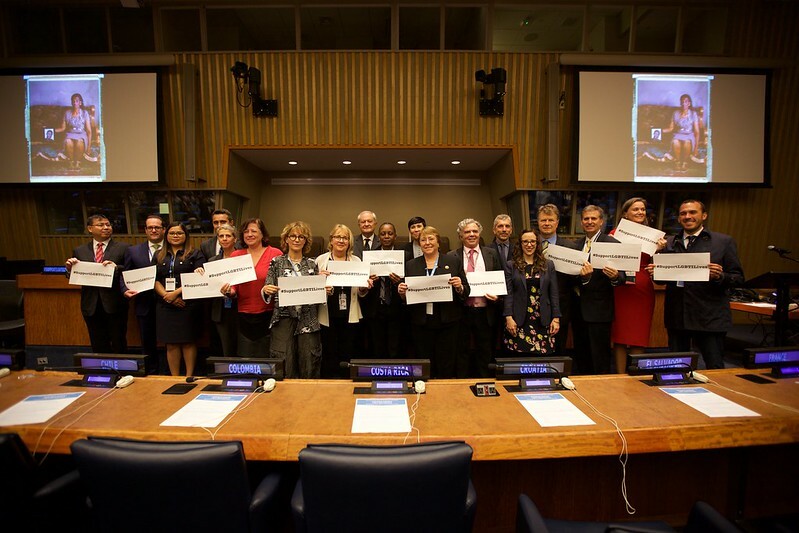 The evening was attended by States, UN Agency and Secretariat representatives and civil society. The event was moderated by Jessica Stern. This advice aligned with the mission of the Secretary of the equality between women and men of France Marlène Schiappa. She reminded the group that France pressured Russia on LGBTI human rights violations in Chechnya, in a joint statement along with Denmark, Estonia, Finland, Germany, Iceland, Ireland, Latvia, Lithuania, the Netherlands, Norway, Sweden, the United Kingdom, the United States, and Canada. In a panel discussion between Jessica Stern, Ugandan activist Kasha Nabagesera, and UN Special Rapporteur on extrajudicial summary or arbitrary executions Agnes Callamard, important messages on state accountability were given to the audience. The message of the night was clear: while some progress has been made there is a lot more work to be done to enable LGBTIQ people to live free from discrimination and persecution internationally.